Wondering how to buy a house with no money down? Before your lack of cash causes you to give up on your dream of homeownership, it's important to look for options other than the standard conventional loan with a 20 percent down payment, such as a low or zero down payment mortgage. Prior to the housing crisis, many lenders offered zero down payment mortgages. Some even allowed consumers to borrow up to 105 percent of the home's purchase price so they could finance their closing costs. The lack of equity in these homes became a crisis when home prices dropped and the owners owed more on their mortgage than the value of their home. Few lenders offer zero-down loans today, but there are some programs that allow consumers with good credit and a steady income to buy with no money down or with a minimal investment. VA loans: Veteran's Affairs mortgage loans are available to veterans, current members of the military and their spouses. These loans don't require a down payment or mortgage insurance, although there is a funding fee that can be wrapped into the loan. USDA Rural Development loans: Rural Development loans through the United States Department of Agriculture are available to buyers who meet credit and income requirements. You must be able to afford payments on the loan and yet have a low or moderate income. In addition, the property you are purchasing must be located within an area designated as eligible for these no-down-payment loans. State and local homebuyer programs: Most states have programs to encourage homeownership. Generally these programs have income limitations and require you to take a home-buyer class. Find programs in your area on the National Council of State Housing Agencies website. Some banks and credit unions offer mortgage loans with no down payment requirement or a limited down payment. 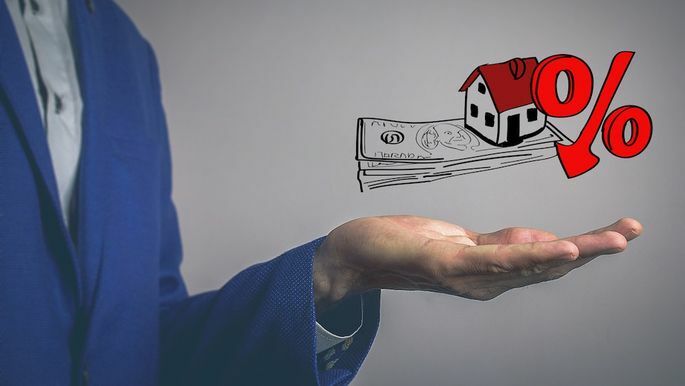 Typically, loans that allow you to buy a home with no money down are only available to borrowers who meet limited income requirements, such as a maximum of 80 percent of the median area income. You'll also need good credit and to be able to demonstrate your ability to repay the loan. If you're lucky enough to have family members with the means and generosity to give you money towards your home purchase, you can use some or all of their gift depending on your loan program. The Federal Housing Administration allows all of the required 3.5 percent down payment to come from gift funds. For a $198,000 purchase, you would need $6,930 for your down payment. Conventional lenders require a minimum of 5 percent for a down payment, or $9,900 for a median-priced home. None of that 5 percent can come from gift funds, although if you make a larger down payment of 20 percent, all of it can be from a gift. You can also borrow from your retirement funds for a down payment, but be sure you follow the rules exactly so you don't get hit with a tax penalty. Saving for a down payment is an important step in becoming financially prepared for homeownership, but you should also arrange a free consultation with a lender to discuss your options and opportunities for financing a home purchase with a lower or zero down payment mortgage.